WHERE: Smithsonian's National Air and Space Museum, Seventh Street and Independence Avenue S.W. Visitors and members of the media will have a special opportunity to see the work that takes place to move an object from one Smithsonian museum to another. 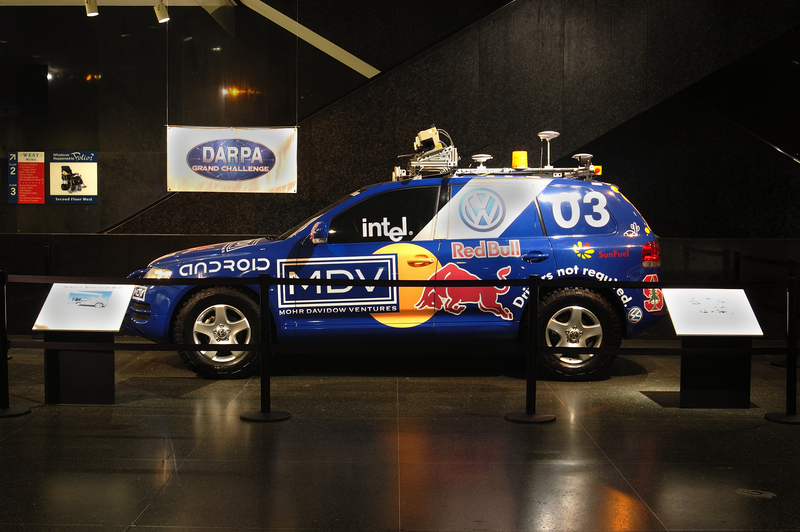 "Stanley"—a 2005 Volkswagen Touareg, modified by the Stanford Racing Team to navigate without remote control and without a human driver in the seat—will be taken from the National Museum of American History to the National Air and Space Museum. It will arrive on a flatbed truck at the west end of the National Air and Space Museum at approximately 8:30 a.m.
"Stanley" will go on display in the upcoming exhibition "Time and Navigation: The Untold Story of Getting from Here to There," which opens at the National Air and Space Museum in March. This project is a unique collaboration between two of the Smithsonian's largest and most popular museums. "Stanley" won the 2005 Grand Challenge, a robot race sponsored by the Defense Advanced Research Projects Agency, by successfully navigating 212 kilometers (132 miles) across desert terrain. Stanley, a 2005 Volkswagen Touareg, was modified to navigate without remote control and without a human driver in the seat. Stanley won the 2005 Grand Challenge, a robot race sponsored by the Defense Advanced Research Projects Agency (DARPA), by successfully navigating 212 kilometers (132 miles) across desert terrain. This artifact is in the National Museum of American History's collection. It will go on display in the Time and Navigation exhibition, scheduled to open at the National Air and Space Museum in 2013.